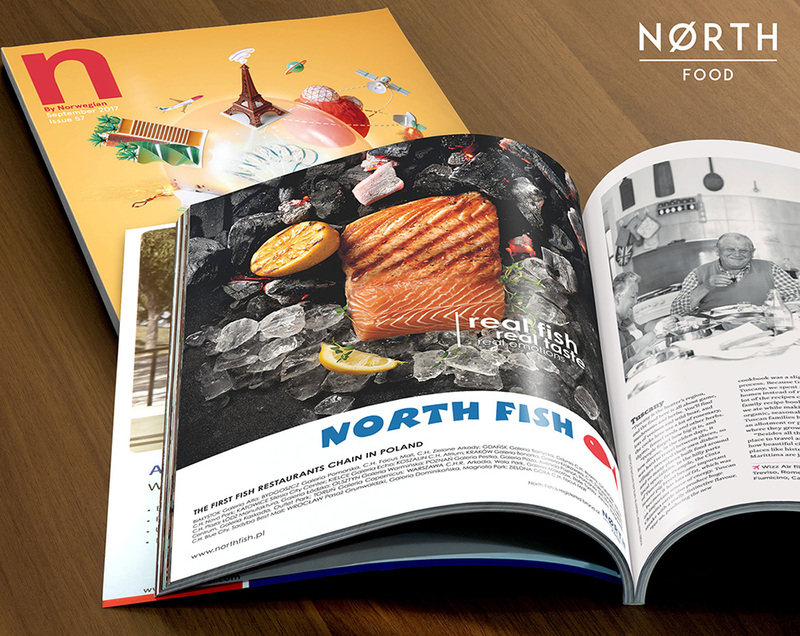 North Fish w samolocie… | North Food Polska S.A.
September’s edition of “n by Norwegian” features a selection of restaurants worth visiting while travelling in different countries. North Fish can be seen alongside such establishments as Lille Herbern in Oslo and Sumo in Norway. “Wizz Magazine”, meanwhile, features a creation with Norwegian salmon placed on ice cubes and coal cinders, which emphasises the fresh and natural character of the products.